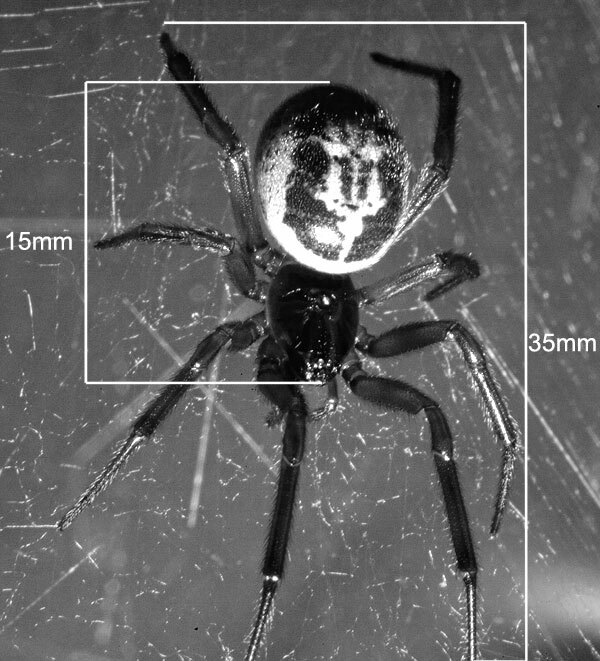 How big is a false widow spider? Surprisingly to some the false widow spiders are by no means the biggest spiders you’ll find in and around the home in the UK. We’ll leave that dubious honour to the aptly named Tegenaria gigantea – the “giant house spider”. The standard false widow spider (Steatoda nobilis) is a medium sized spider often described as being about the same size as a 50 pence piece. That would give you the overall (including legs) of a small to average sized false widow, they are often bigger. The maximum size is for a female, as these are considerably bigger than the males. 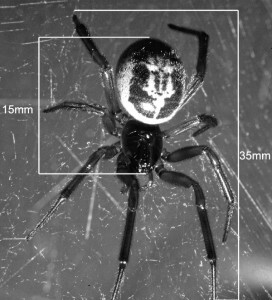 The body including head can be up to 15mm in length and the overall leg span can reach nearly 35mm.